Ace shuttler Saina Nehwal on Wednesday pulled out of the Indian Open BWF World Tour Super 500 which begins in New Delhi on Tuesday, after failing to recover from an acute gastroenteritis problem. Saina, who turned 29 last Monday, had played through pain during the All England Championships after suffering from an acute gastroenteritis and mild pancreatitis ahead of the tournament. She was forced to withdraw from Swiss Open last week and was admitted to hospital for treatment. On Wednesday, Saina informed Badminton Association of India (BAI) about her decision to withdraw from the USD 350,000 tournament on medical grounds. 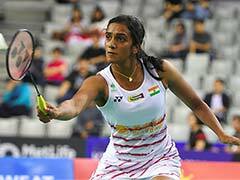 "So some sad news was really going through acute stomach pain from last Monday... managed to play few matches in All England with lot of pain ... decided to skip Swiss open and come back to India and find out the issue," she had written in her social media account. "... and I found out it's acute gastroenteritis with mild pancreatitis and the doctors have recommended me to get admitted and hopefully I recover soon out of it."